Times are changing – make no mistake. Views on politics and finances are undergoing a major shift in this country. Yesterday’s SCOTUS ruling, whether one agrees or disagrees with it, did something that hasn’t been seen in too many years. It got the American public interested in the issues that affect their lives. Hopefully, it’s energized our society to take notice to all of the changes that will affect generations and even more importantly, it’s propelled folks to take a stand, whether it’s via the polls on election day or by making a change within their own communities. There does seem to be a massive wave of change in terms of how we define “home” as well. Here’s one story of how tough economic times has caused at least one family to take a step back and redefine what’s truly important in their lives. We also found ourselves struggling spiritually, too. Due to cutbacks at the small town police department she’d called her second home for almost eight years, she found herself in the unemployed line in mid 2009. Within a year, her husband, John, came home from work with his own bad news – the construction project he’d been working on for the past 18 months had suddenly lost its financial backing. He too found himself without a job. Soon the bank began foreclosure proceedings. They knew they had to do something. It was then an idea began to form as they looked over their household expenses and realized it was now or never. Right before Thanksgiving 2010, the couple made a trip to the home improvement store. Before they left three hours later, they’d purchased two pre-fabricated storage sheds, a few power tools, nails, paint and as Clem calls it, “an armful of lumber”. A few faucet sets, light fixtures and other “must haves” selected, they were soon on their way. They ended up putting the $6,200 charge on their Visa – each storage shed cost around $2,000. From there, they stopped by a storage unit facility where they rented a storage unit in anticipation of what was next. We tried. Oh did we try. We prayed about it. We met with our banker. We prayed some more and finally, there just wasn’t anything else we could do but allow it to play out, they were taking a huge gamble not only with their financial future, but their family’s future as a whole. That same day they bought the pre-fabbed sheds, they made a beeline to a small piece of property they own that was deeded to Clem years ago by her parents. Clem explained. They carefully decided where they wanted to place the buildings to make the most of what they had. John also said he was trying to keep future plans in mind, too. Once that decision was made, he and his two brothers went to work knocking out a side wall on each building so that they could combine the two to form one big unit. Another modification opened up another wall to add a small bathroom that included a shower versus the oversized whirlpool tub Clem loved in their old home. What she ended up with, though, is worth so much more than an oversized tub. Two days before Thanksgiving, the family faced one of the biggest challenges yet: they had to remove all of their belongings that were now in a house they no longer owned. The children had to make the tough decisions in terms of which toys they wanted to bring with them and which ones they wanted to put into storage. The beautiful oversized furniture that the family had carefully chosen for their home several years earlier was now being carefully covered and moved into he storage unit as Clem had to literally downscale. The formal dining table became the small kitchen table. The leather sectional sofa was replaced with a loveseat and two accent chairs. The big screen TV was traded for a smaller 26″ television. Today, the family is doing well and has completely recovered from the economic difficulties the past three years had dealt. They have paid their Visa credit card off in its entirety. This means, of course, they are living mortgage-free. They became overnight gardeners and they’re now making plans to add on to their small cottage. This time, though, there’s no sense of urgency. she said, nodding to the row of small hummingbird feeders that were drawing the small birds by the dozens. 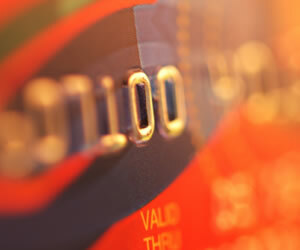 Reducing Credit Card Debt in the New Year? Debt Settlement Companies – Good or Bad ? Is a Recession Possible in 2013?